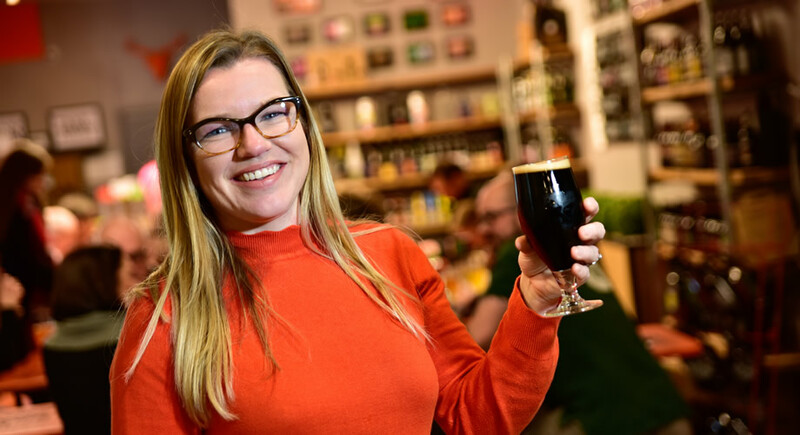 That Beer Place… the first ever bottle shop and taproom in Chester Market’s history, has rapidly become a very popular and vibrant meeting spot. With an impressive selection of around 300 different beers at any one time, including six constantly rotating beers on tap, That Beer Place is a beer lover’s heaven. With a huge range of craft beer, real ales, lagers, plus international, vegan, vegetarian and gluten free beers; the hardest part is choosing what to have. Customers can either drink in and soak up the atmosphere or take away to enjoy at home. Alongside this impressive selection of beers, we also have an exciting choice of ciders, artisan gins, specially selected wines and non-alcoholic drinks, so there’s something for everyone. As part of the fabric of the Market, we encourage customers to use the Market Hall as one, unique destination. Customers are more than welcome to order their delicious food at one of the amazing eateries inside the Market, for delivery to their table at That Beer Place. Or, they can simply grab a drink from the bar and take it over to their chosen foodie spot to enjoy with their meal! That Beer Place is also available to do events; such as beer tastings, beer and food matching and corporate events.